It was hot this past weekend in NYC. H-O-T-T hot. What to do on a Sunday afternoon with no plans? A quick trip to the beach, of course. 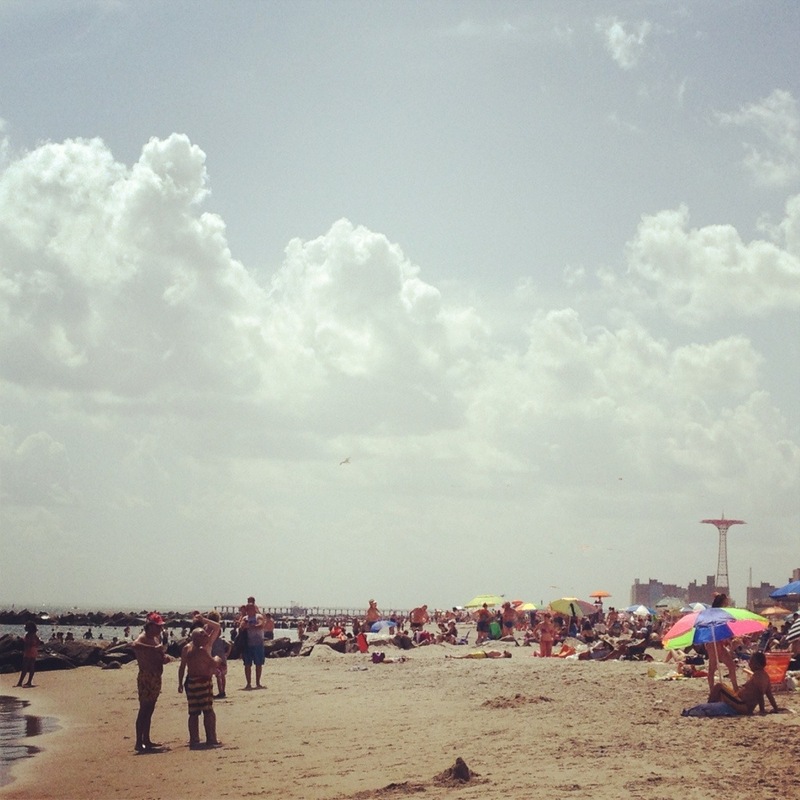 New York City has miles of beaches easily accessed by subway. Pretty incredible for the most urban, most densely populated major city in the U.S. If we need to make it a quick trip, we head down to the western end of Brighton Beach, a 30 minute ride away on the Q train. It’s fairly quiet, fairly clean, and convenient to tasty Russian food. 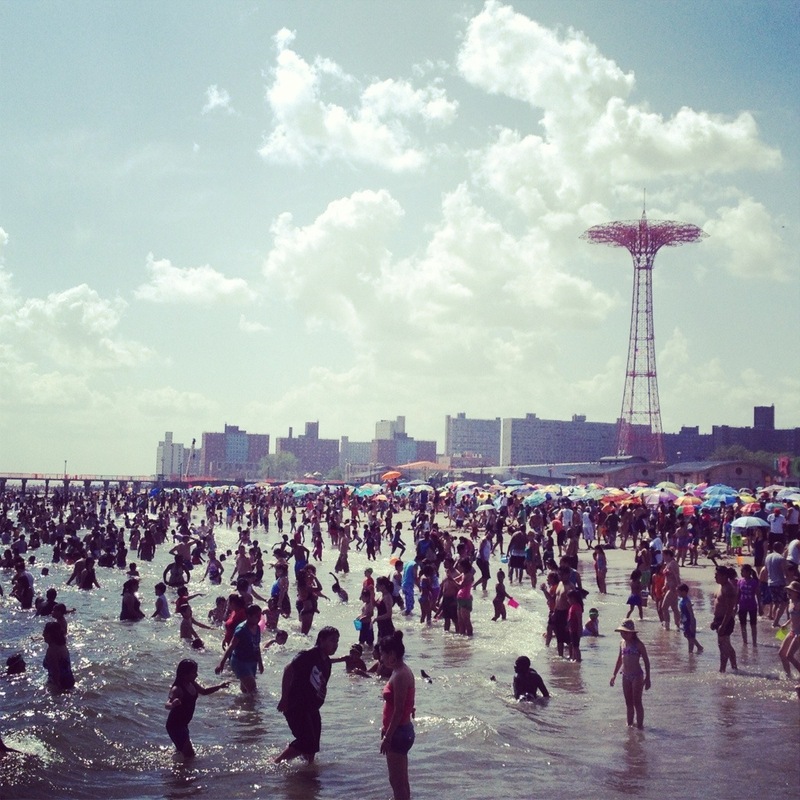 If you want to party at the beach, Coney Island is a short walk away. Here, the umbrellas are ruffle-to-ruffle, reggaeton is blasting and vendors are selling everything from homemade churros to flowering mangos on a stick. 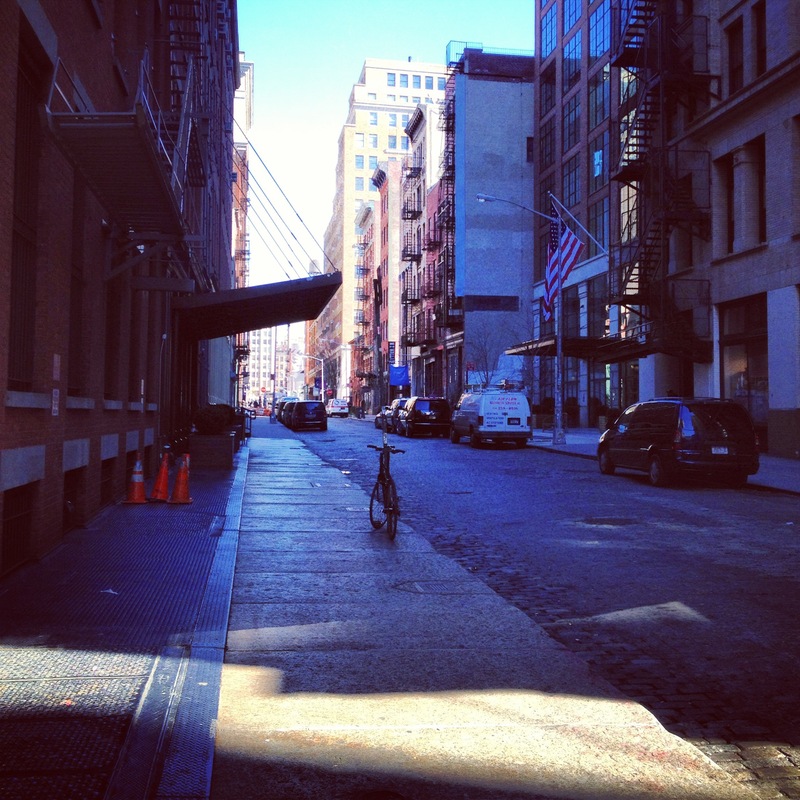 Most New Yorkers would be hard-pressed to say they enjoy their commutes. They’re usually too long and the train too crowded; fellow passengers can be loud and obnoxious; someone’s taking up too much space or sneezing on you or–dear god–clipping their fingernails (yes, this happens). But sometimes, even a long commute can feel blissful. I’m lucky to be able to travel on a fairly uncrowded train, and the 40 or so minutes I read before work can feel as relaxing as a deep tissue massage. I’m pretty easily motion sick, and the subway is one of the only modes of transportation on which I’m able to read. 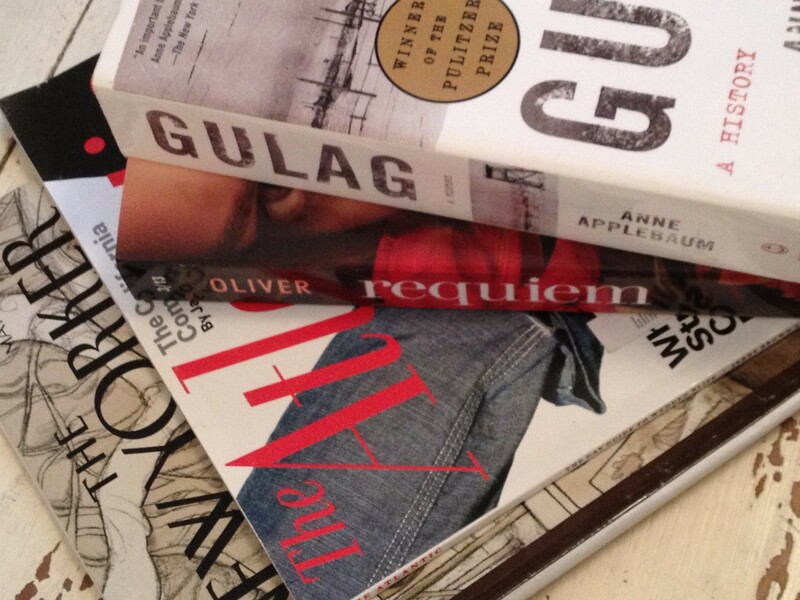 And I read everything: long-form essays, historical non-fiction, young adult literature, food magazines, fashion magazines, science articles. Often, I’m so into the story, I nearly miss my stop. It feels like a a bit of a brain workout and gets me mentally prepped for the day. I actually exit the train with a smile on my face. A smile! On the way to work! I’d pick that over the stop-and-go of a car commute any day. This is Why: The Theater! That title is supposed to be read like this: THA THEE-AY-TAH! For over a century, New York City’s Broadway district has been churning out the liveliest productions in the country. People from all over the world flock to the Great White Way to fill the seats of Broadway’s 40 theaters. This past Saturday, I had the pleasure of attending opening weekend for the first Broadway revival of Pippin–a show that first premiered 40 years ago. Back then, the show–a Bob Fosse-choreographed parable about the joys of ordinary life–quickly accumulated a devoted fan base. And they came back in droves. The excitement in the air was palpable. It was electric. When the curtain was raised, the yelps and woos that accompanied the opening notes threatened to drown out the actors on stage. People were excited! And even though I knew nearly nothing about the show, I became excited, too. The audience’s mood was so infectious, I felt like a committed fan 30 seconds into the first act. An only-in-New York moment to be sure. 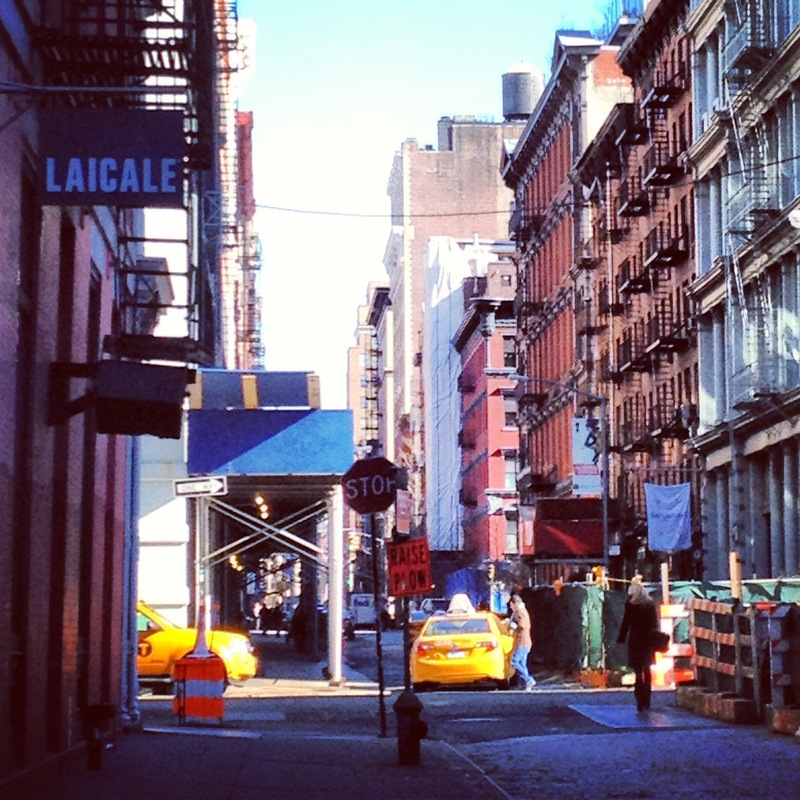 Today was a nondescript gray day–the kind of day that populates February and March in NYC. 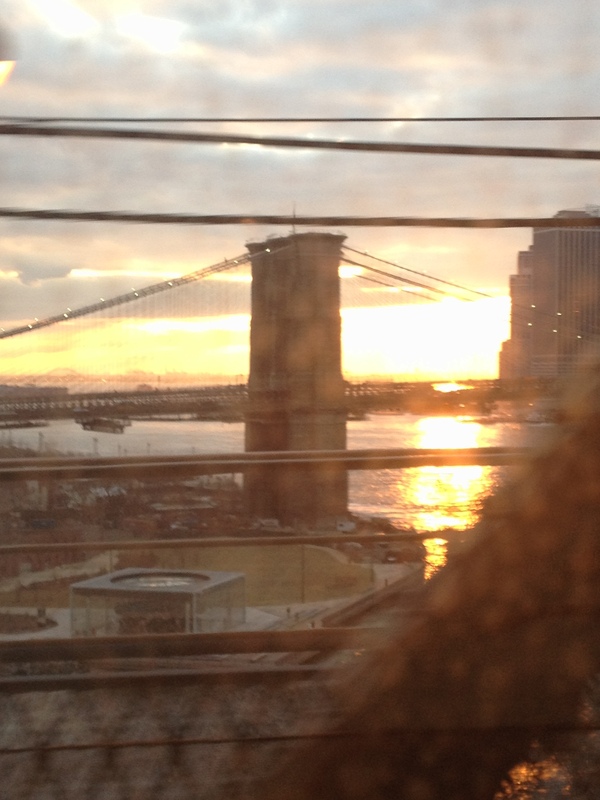 I was ready to write it off until I caught a small peak of the sun from a Manhattan-bound Q train. The sun’s rays descended below the cloud line and behind the Brooklyn Bridge at the precise moment my subway car barreled across the Manhattan Bridge. 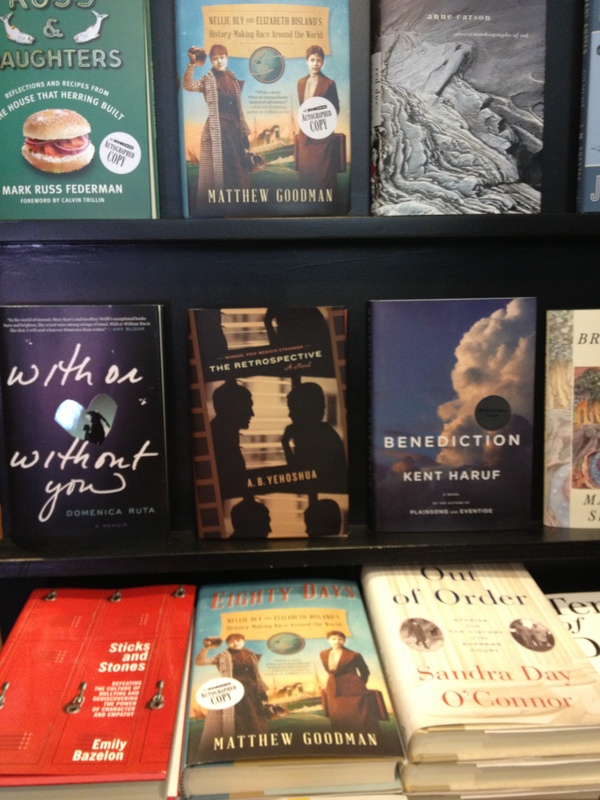 It seemed as though the scene was prepped for my enjoyment specifically, to lift me out of my winter doldrums. Well played, New York. When my brother and I were kids and it snowed at our house in the suburbs, we’d go outside and play while our parents took photos. Sometimes, we’d have a snowball fight with neighbors. When the roads were finally plowed, maybe we’d make it to a local park for sledding. Overall though, our experience was family- and neighbor-centric. When something happens in NYC, whether it’s a snowstorm or a transit strike or a Giants’ Super Bowl victory, the entire city experiences it together, for better or worse. 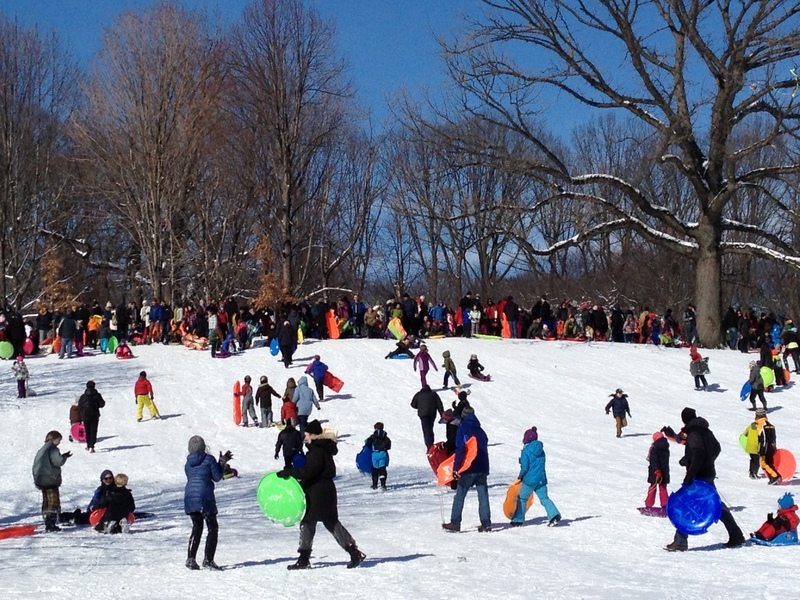 After an 11 inch snowfall last weekend, our local park, Prospect Park, was packed with people. There was sledding, snowshoeing, cross-country skiing and casual strolling. And everyone was noticeably giddy. During times like these we feed off each other’s positive energy, and that’s a lovely thing.